And now , introducing the stunning round Marsais dining table available here from Homesdirect365. This set and style of furniture is a beautiful yet modern, old fashioned dining set. This would fit beautifully in any dining area/seating area and would more than surely tie the household together. 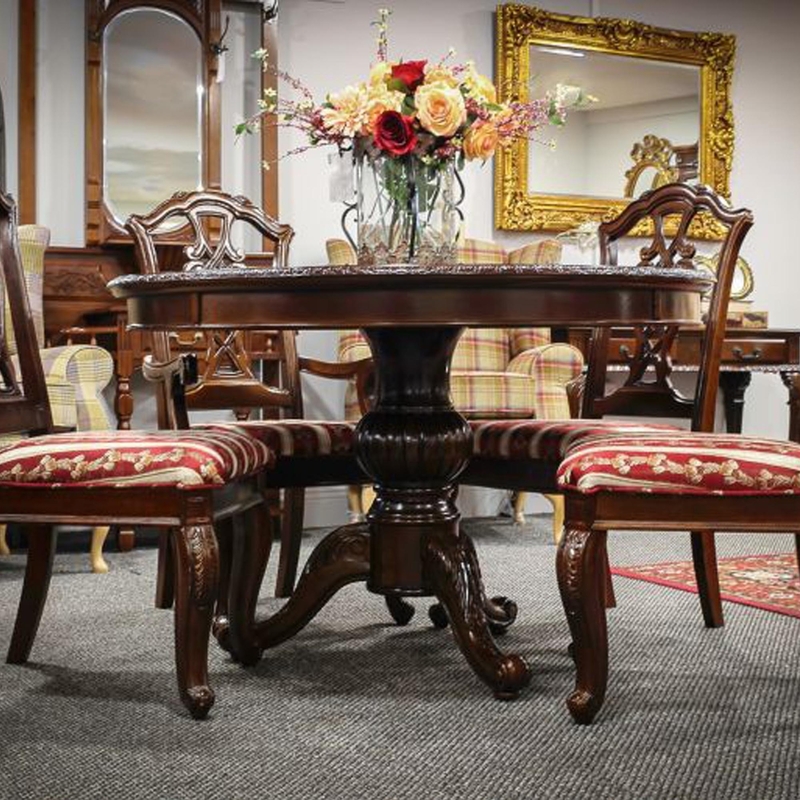 A round table with a very dark wooden colour is sure to make your dining room feel more homely with a old fashioned feel. Also nevertheless , this gorgeous dining table is also a beautiful mahogany shade to give you that gorgeous antique look and feel.